Below is a link to a PDF file that includes instructions for the Handy Clicker. Thank you for your interest in LifeCycle Gear and our Handy Clicker. 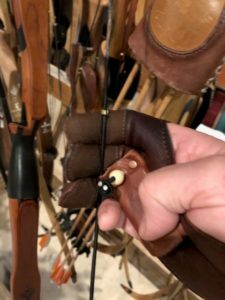 Included in this post are five short videos that introduce the Handy Clicker and describe its basic use in both the bow hand and string hand. The videos were shot during one take, but I had to do some editing, albeit crude, to separate the full-length video into five parts so that the files were small enough to upload. In other words, I hope you’ll focus on the Handy Clicker and not the production quality–a professional videographer I am not! For easier viewing, these videos are also available on the LifeCycle Gear YouTube channel. The Handy Clicker is a new, hand-held shooting aide that I developed to help cure target panic and establish a highly controlled shot activation system that involves physical and auditory cues. 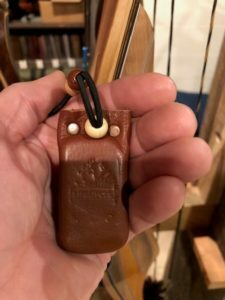 In addition, it’s super easy to use and unlike other systems, such as bow-mounted clickers, the Handy Clicker travels with you and not on your bow, enabling you to accurately shoot any bow and arrow combination that you pick up. It’s versatile, as well, and can be used in either your bow hand or string hand. 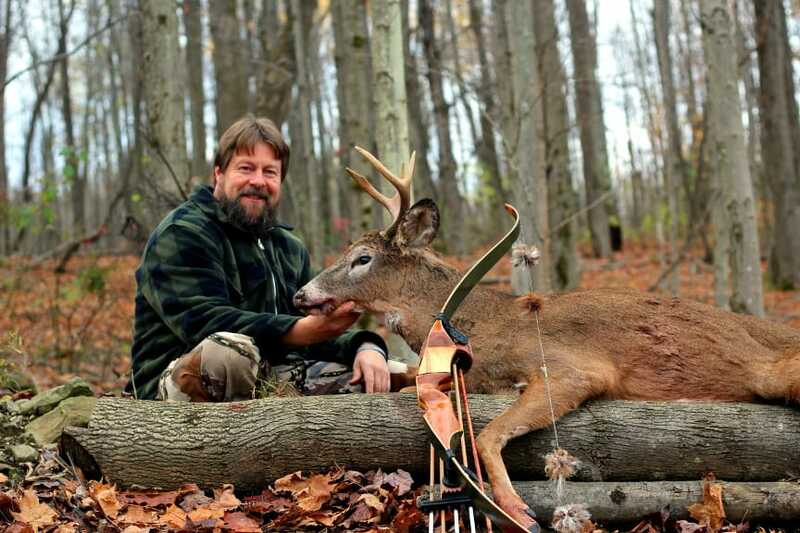 In my book, A Traditional Bowhunter’s Path, I described my ow n personal shooting struggles and how I overcame them first with a bow-mounted clicker and then then a psycho-trigger that involved touching my arrow’s fletching to my nose to activate the shot. In response, I received hundreds of e-mails from grateful readers who solved their own shooting problems through the techniques I described. However, I also continue to receive e-mails from archers and bowhunters who are unable to achieve success with bow-mounted clickers, psycho-triggers, or grip seers. And, to be honest, I wasn’t happy with those systems either because they all require you to attach something to your bow or modify your bow or arrows. 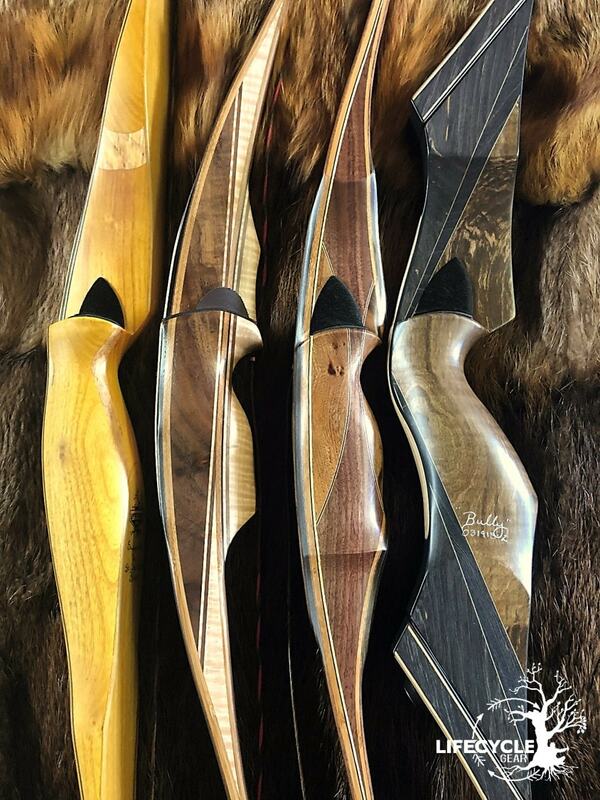 Using limb-mounted clickers means having one on each of your bows, keeping them tuned, and making sure they don’t work loose in rainy conditions. 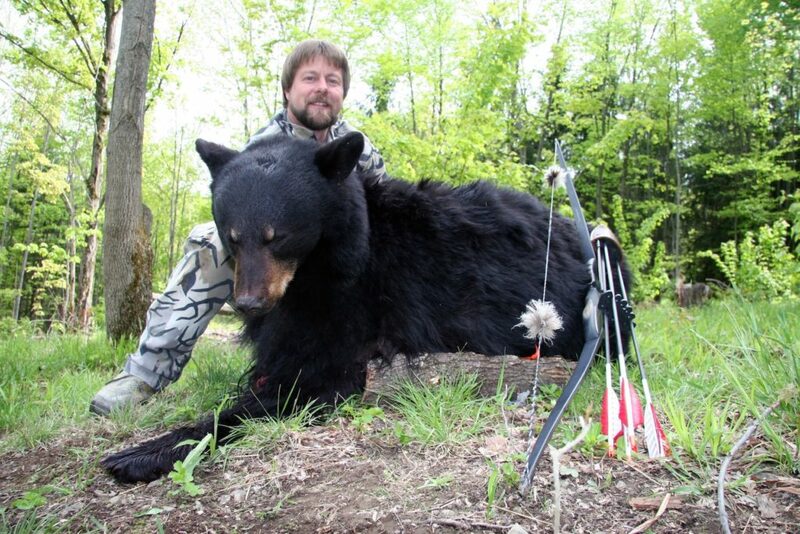 The “feather-to-nose” method means custom fletching your arrows so they contact your nose. This prevents nock tuning and means you always have to have YOUR arrows to shoot your system. This means that you can’t just pick up a friend’s bow and arrow combination or test drive a bow at an archery event without some sort of compromise. I wanted a robust shot activation system that would go where I went and above all, would help restore fun and success to the many frustrated archers and bowhunters who I see suffering from target panic and other shooting problems that stem from an uncontrolled shot. Target panic is a psychological condition that prevents us from carrying out a complete d, or what some call a “closed loop,” shot cycle. It’s two most common manifestations are locking off target or being unable to reach full draw before releasing the string. There’s a lot of science behind why and how target panic evolves in the human mind and I’d encourage you to check out the work of Joel Turner at Shot IQ for more information. The Handy Clicker short-circuits target panic by providing a conscious, physical movement that is not automatic and if adhered ingrains highly structured shooting. Getting proficient with the Handy Clicker requires practice. I recommend 100 shots to figure out what is most comfortable for you. Do you have it adjusted properly? 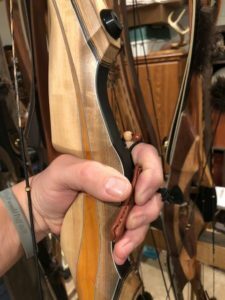 Does it work best in your bow hand or string hand? Over which finger is it most comfortable to place the finger thong? After an additional 100 shots, you’ll start to feel consistency and control, and your accuracy will greatly increase. In closing, I’ll tell you a quick story to illustrate how deeply the Handy Clicker becomes part of your shot cycle. Recently I was setting up a bow for a customer. I stepped outside to shoot a few arrows, but I was distracted by the tuning process and not focused on REALLY shooting. Eventually I found myself at full draw, staring at the target and wondering why the bow “wouldn’t go off.” I had forgotten to grab my Handy Clicker so my subconcious brain had no cue to release the string–it was waiting for a signal that never came. In this shooting video, you can see a Handy Clicker in my bow hand and hear the barely audible click, just as I release the string. 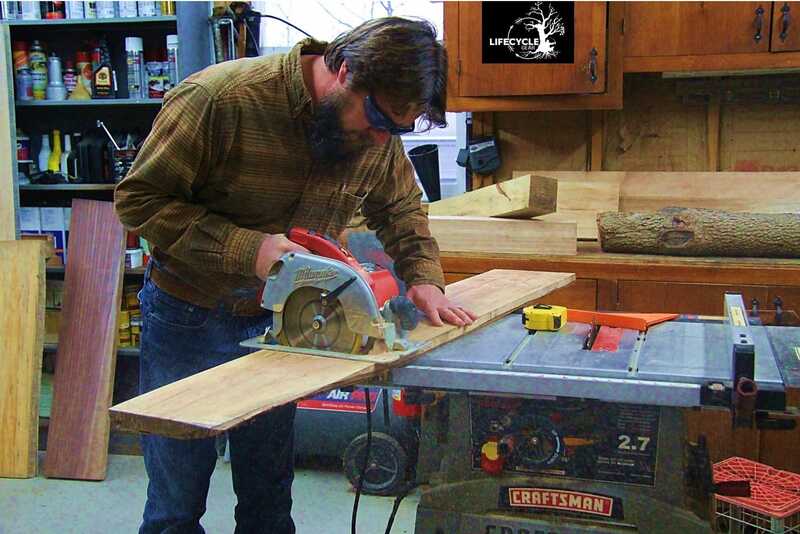 Thank you for your interest in LifecCycle Gear. If you try a hand clicker, please send me your thoughts and any suggestions for improvements. I sincerely hope the Handy Clicker improves your accuracy and success on targets and in the woods.